Situated in southwest Great Britain is the scenic country of Wales. Famous for its gorgeous coastline, magnificent mountain terrain and green hills, it is a wonderful destination for those who enjoy outdoor adventures. Explore Wales’s charming landscapes and discover numerous majestic castles. Famous attractions include Snowdonia National Park, Gower Peninsula (Swansea) and Wales Millennium Centre (Cardiff). Get ready for a memorable holiday experience because cheap flights to Wales are now available for a limited time! The capital, Cardiff, is the home of Cardiff Airport (CWL), which is a 30-minute drive or a scenic 40-minute train ride from the city centre. Wales is alternatively known as the Land of Castles. That won’t prepare you: this nation includes 600 of them! If you visited one each day, it would take you nearly two years to discover them all! It may be small, but Wales offers many ways to experience its outstanding landscapes. Explore places like the impressive Black Mountain, Snowdonia National Park and the picturesque Wye Valley. Treat yourself to the treasure that so few travellers know. When the sun’s up, soak up its warmth at Barafundle Bay Beach. On overcast days, enjoy a refreshing walk along the Wales Coast Path. Wales experiences rainfall throughout the year, with the heaviest rainfall taking place between November and January (early to mid-winter). The period with the most pleasant weather is between June and August (summer). To ensure you have an enjoyable holiday experience around this time, make sure to book accommodation well in advance. Take note that hotel rates reach their peak during these months, especially in the coastal cities, like the capital, Cardiff. To get affordable hotel rooms, visit Wales between the months of April and May (spring) and between September and October (autumn). During spring, the month of May offers moderate temperatures. September (early autumn) still offers some of the warmth of summer, but be prepared for an increase in rain, which begins around August. Regardless of what time you go, make sure to check the weather reports for the regions you plan to visit, as the weather of the British Isles has been known to change quickly during the day. Pack your bags and prepare for a memorable holiday in Wales! 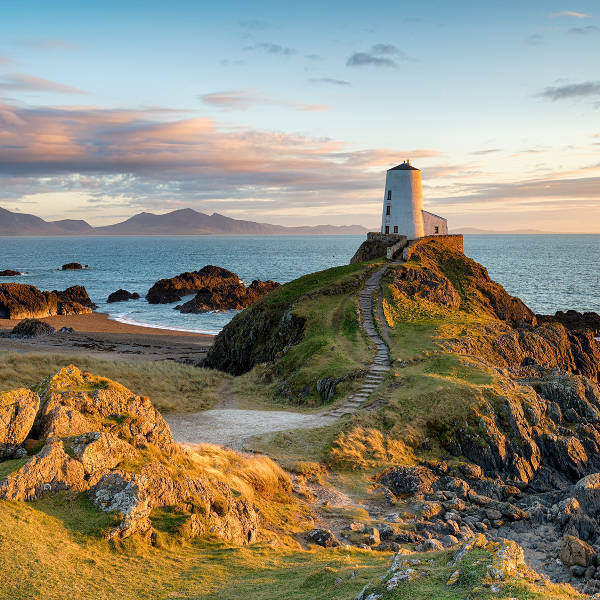 This scenic nation offers you an enchanting setting for a vacation experience, with its lovely coastline, stunning mountainous terrain, a wealth of castles and the exceptional Welsh language. Go for an adventure through scenic landscapes, such as those found in the magnificent Snowdonia National Park and Abereiddy and the Blue Lagoon. The many castles of Wales provide yet another reason to visit this country in the British Isles, with top locations like Conwy Castle, Castell Coch and Caerphilly Castle. 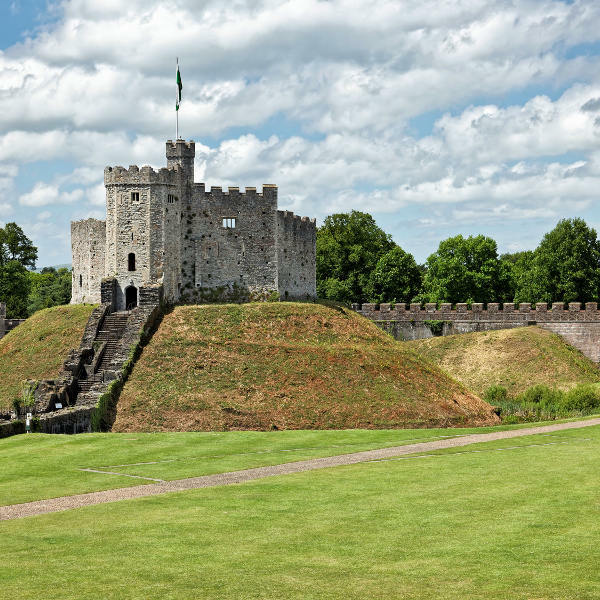 The capital of Wales, Cardiff, is where you will find the magnificent Cardiff Castle. This gorgeous destination counters its historical wealth with the contemporary waterfront and the stunning Wales Millennium Centre, an arts centre where you can enjoy performances of opera, dance, ballet, theatre, comedy and musicals. When you find yourself in need of fresh air, take a stroll along the piers and boardwalks of the beautiful Cardiff Bay. Swansea, another coastal destination, was voted the most beautiful city to live in during 2016. One of its top attractions is the Swansea Market, the largest indoor market in Wales. Experience Swansea’s nightlife in Wind Street, which boasts twenty enticing bars and ten alluring restaurants. 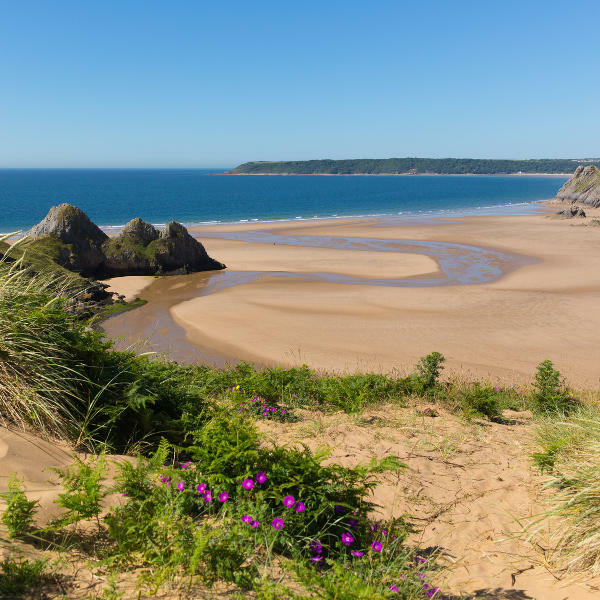 One major sight of this destination is the breath-taking Gower Peninsula, a picturesque scene that includes huge limestone cliffs, fantastic beaches and amazing views over the Bristol Channel. Compare several airlines and book your cheap flights to Wales online at Travelstart! The cities of Wales enjoy a high level of safety, with crimes such as pick-pocketing and mugging a rare occurrence. You should take care when visiting a bar or pub during the weekend or after a game, as patrons may become violent when intoxicated.